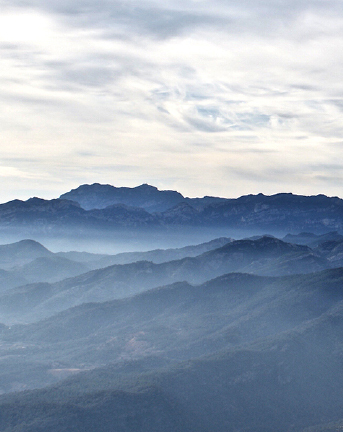 TERRA ALTA is a region protected by the mountain ranges of Ports de Tortosa- Beseit, Sierra de Pàndols and Sierra de Cavalls, and surrounded by the Ebro, the Algars and the Matarranya rivers, with the Canaletes river going right through. As an eminently MEDITERRANEAN region we find the triple symbolism of wheat, vine and olive tree thriving in all its splendour. 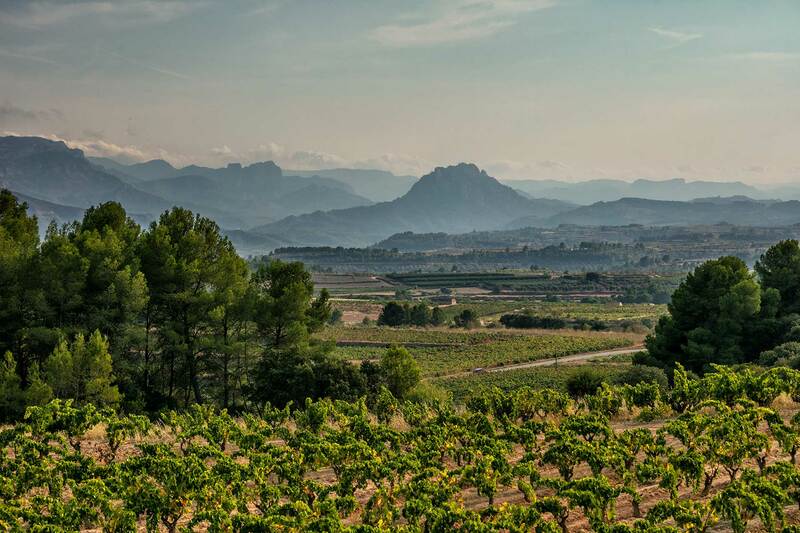 The CLIMATE in Terra Alta is Mediterranean with a continental influence: gentle autumns, cold winters, late springs and hot summers, with two dominant winds: the cierzo and the garbinada. The cierzo is a cold dry wind that comes from Aragón. The garbinada is a fresh humid breeze from the sea. Both these winds help us maintain the health and vitality of our plants. The ALTITUDE ranging between 350 and 600 metres above sea level and exposure of the vineyards guarantee many hours of sunshine, with RAIN levels never exceeding 450 litres per square metre a year. These conditions imply a considerable temperature contrast between day and night favouring a more balanced ripening of the grapes. Currently we are GROWING 30 hectares of vine distributed around the municipality of GANDESA complemented with small plots of olive and almond trees and wild forest. 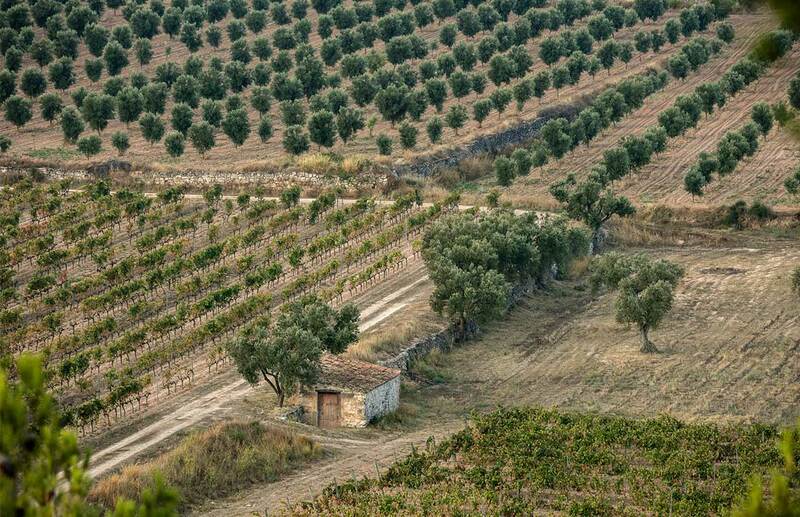 The distribution of agrarian properties in TERRA ALTA is often fragmented with scattered plots of land straddling a diversity of crops together with areas of forest and scrubland. This rural mosaic so typically MEDITERRANEAN offers a charming humanised dry landscape, so satisfying to behold, showing at the same time a biodiversity which is essential for the preservation of the ecosystems.